Will keep an eye on these over the coming runs. ARPEGE less strong ( being catching up to the ECM over the last couple of runs ) . ICON similar to the ECM if a tad higher but usually can knock off 5-10 kph approx as inclined to overestimate this far out , GFS less strong and showing the strongest winds off the S coast . Siobhan Ryan on the 9.30 forecast . Risk of stormy weather Friday. Well, hopefully the ECM and GFS are right about the track. Although I would not be surprised if it ends up further north on future runs. 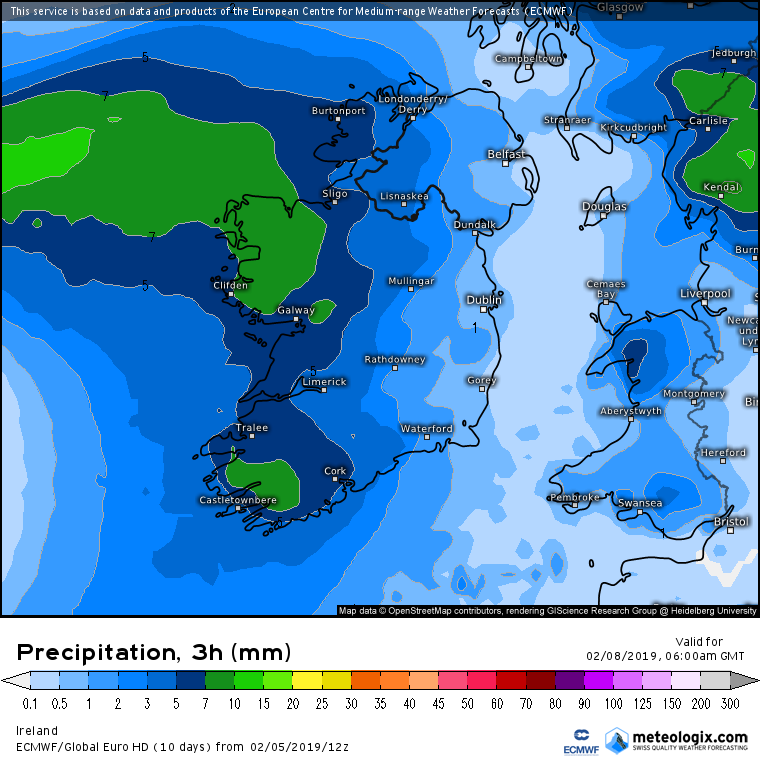 Met Eireann's own charts very similar to the ECM and GFS. 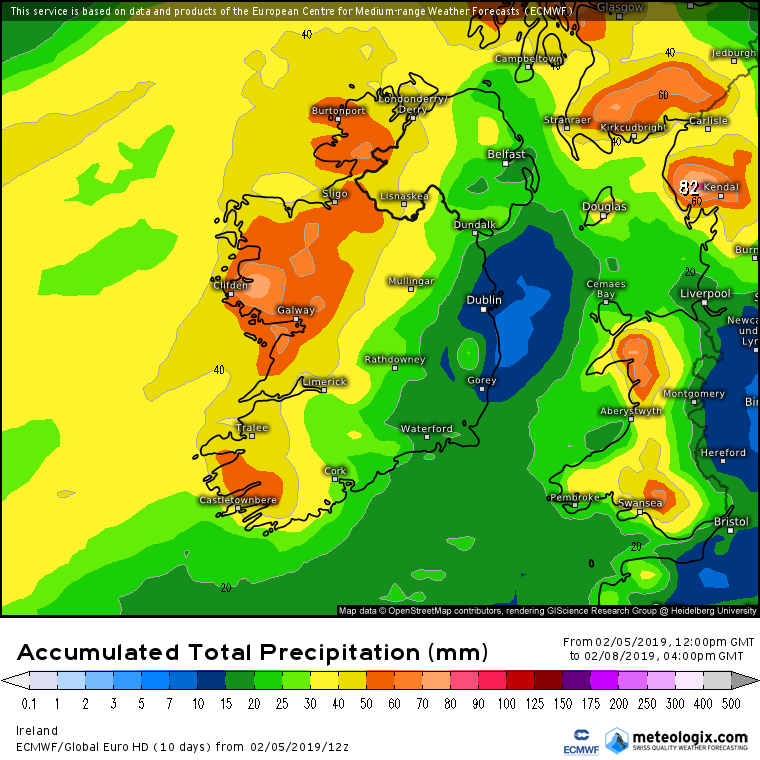 Potential for some very heavy rain also . 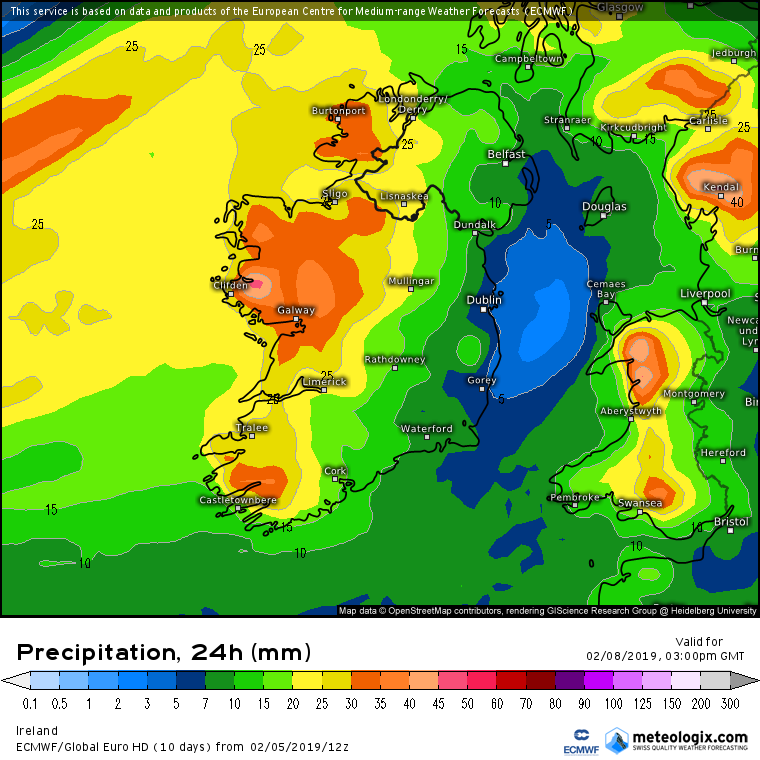 Late night radio 1 forecast, heavy rain tomorrow evening/night, showery Thursday and the risk of stormy conditions Friday. Very unsettled. High tides early Fri morning, just a couple of days after Spring tides. Can compare tonights WRF 18Z run with tomorrows. 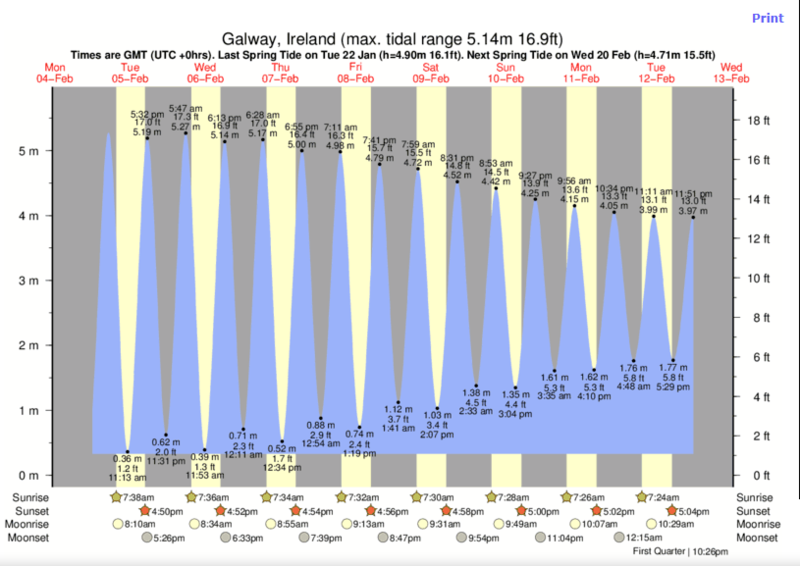 Met.ie guidance maps look like an orange alert situation for Galway Bay and much of Connacht. Stronger gradient than on most models at 00z except (oddly) the GEM. It also looks intense. I guess it's some kind of GEM-harmonie-hirlam consensus so far. Arpege really didn't excite and UKMO way north, GFS weak and barely yellow alert for exposed coasts (so a non-event). Will see what ECM makes of it before deciding on a forecast emphasis but we are not "there" yet. I often read here that when a strong developing system is approaching us, they almost always correct north as they near us. Would you say this is likely to be the case again? Are those charts GMT or what time of day are we looking at? Night Thursday, fri morning/evening/night? This is what often happens which is why I'm not buying into this yet. I always thought that the strongest wind field is in the southern flank of depressions. So if the models are showing the strongest winds a bit to our south wouldn't a nudge north be bad? Or am I picking things up wrong? What usually happens is the storm goes north enough to keep the strongest winds off the north coast.